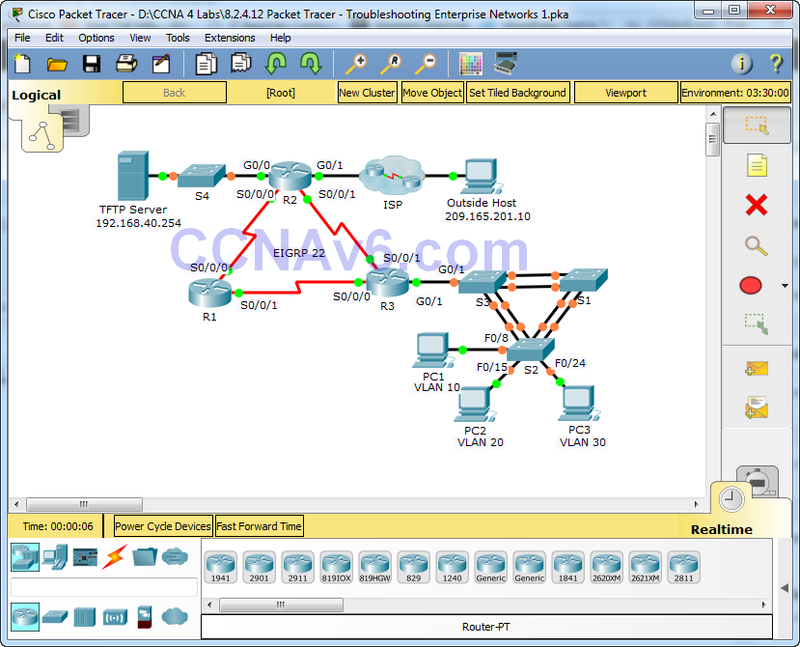 · S2 is the spanning-tree root for VLAN 1, 10, and 20. 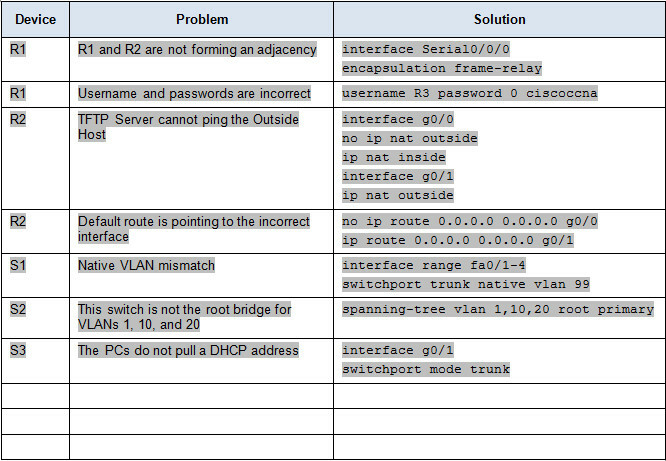 S3 is the spanning-tree root for VLAN 30 and 88. · The trunk links connecting the switches are in native VLAN 99. · R3 is responsible for inter-VLAN routing and serves as the DHCP server for VLANs 10, 20, and 30. 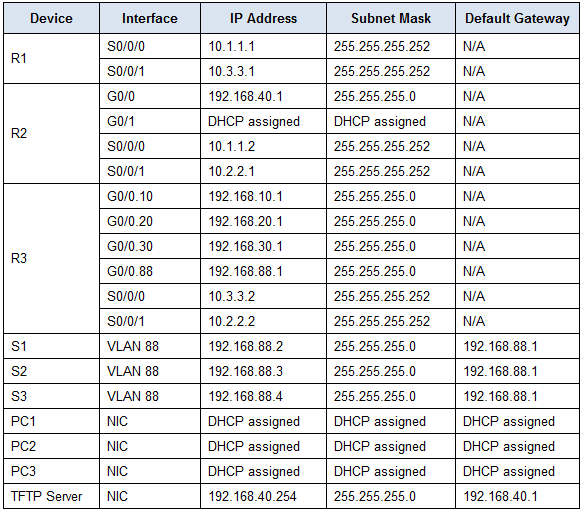 · Each router is configured with EIGRP and uses AS 22. · The serial link between R1 and R3 uses PPP with CHAP.